The release of the iPhone 7 is approaching fast, and rumors seem to surface one after another. There was a lot of chatter regarding the fact that Apple might ditch the 3.5mm audio jack that is found on the current model and on the previous ones also, and go for an audio output that would use Bluetooth or Lightning. 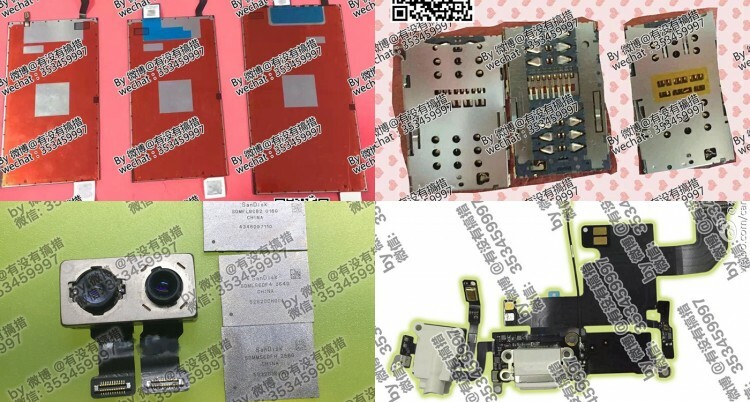 When everyone thought that the absence of the audio jack from the iPhone 7 is more or less a certainty, a leakster posted some images of what are supposed to be this year’s model’s components, and if the images are real, it’s safe to say that the previous rumors were false, and Apple didn’t lose the headphone jack just yet. The leaked images are said to come from a repair shop in Ghanzou, China, and they clearly show that there is a headphone jack attached to the Lightning cable assembly of what seems to be the 4.7-inch model. Apple fans who still love their traditional headphones can calm down, at least for now, because they won’t necessarily need to use a Bluetooth headset if the images are real. Another feature of the iPhone 7 revealed by the aforementioned images is a dual-SIM tray, which would be a first for an Apple smartphone. None of the previous versions featured dual-SIM, so this year we could actually see a serious change in the globally known gadgets. According to the images shown off by Engadget via Rock Fix, the upcoming iPhone model could also feature a dual-lens camera and could also have SanDisk memory chips of up to 256GB, which would also be more than welcome. According to the same sources, the design of the smartphone will be similar to the one of the current models, at least when it comes to the well-known antenna bands situated on the back of the device. As we already stated, there is no certainty regarding the features of the upcoming iPhone 7 and to be honest, until an official statement will be made by the manufacturing company, we can rely only on rumors, which can prove to be right or completely false. We hope that we’ll see the final product soon enough and that it will be at least as impressive as the previous models, possibly even better. Apple fans will most likely appreciate it anyway, but there still is a chance for the Cupertino-based company to win some new fans also with the new generation of iPhone.